With a half-billion-dollar multistate lottery jackpot up for grabs, plenty of folks are fantasizing about how to spend the money. But doing it the right way – protecting your riches, your identity and your sanity – takes some thought and planning. A: Before anything else, sign the back of the ticket. That will stop anyone else from claiming your riches if you happen to drop it while you’re jumping up and down. Then make a photocopy and lock it in a safe. At the very least, keep it where you know it’s protected. 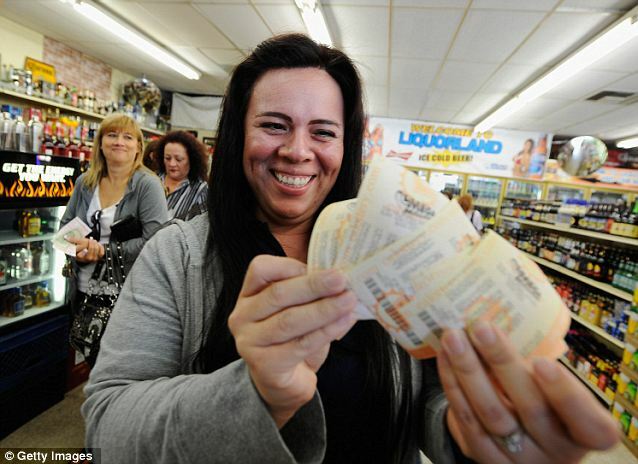 A Rhode Island woman who won a $336 million Powerball jackpot in February hid the ticket in her Bible before going out to breakfast. A: Relax; breathe; take time to think about your next move. Don’t do anything you’ll regret for the next 30 years, like calling your best friend or every one of your aunts, uncles and cousins. It doesn’t take long to be overwhelmed by long-lost friends, charities and churches wanting to share your good fortune. You’ve waited a lifetime to hit the jackpot; you can wait a few days before going on a spending spree. A: Contacting a lawyer and a financial planner would be a lot wiser than updating your Facebook status. Make sure it’s someone you can trust and, it’s hoped, dealt with before. If you don’t have anyone in mind, ask a close family member or friend. Oklahoma City attorney Richard Craig, whose firm has represented a handful of lottery winners, says it’s essential to assemble a team of financial managers, tax experts, accountants and bankers. A: This partly depends on where you live. Federal tax is 25%; then there’s your state income tax. In Ohio, for example, that’s another 6%. And you might need to pay a city tax depending on the local tax rules. So count on about a third of your winnings going to the government. Q: But what if I’m good at managing the money? A: Invested properly, the lump sum option can be a good choice. There’s more planning that you can use to reduce estate taxes and other financial incentives. Others, though, say that with annual payments, you are taxed on the money only as it comes in, so that will put you in a lower tax bracket rather than taking a big hit on getting a lump sum. And you still can shelter the money in tax-free investments and take advantage of tax law changes over the years. A: Absolutely. This will protect you from people who want you to invest in their business scheme or those who need cash in an emergency. Lottery winners are besieged by dozens of people and charities looking for help. “There are people who do that for a living. Unless you understand that, you can become a victim very quickly,” says Steve Thornton, an attorney in Bowling Green, Kentucky, who has represented two jackpot winners. A: Sure, it’s why you bought a ticket, right? “Get it out of your system, but don’t go overboard,” Don McNay says. But remember that if there’s a new Mercedes-Benz in the driveway, your neighbors will probably be able to figure out who won the jackpot. A: It’s certainly a natural desire to help relatives in need and take care of future generations. But use extreme caution when giving out your money. Jack Whittaker, a West Virginia contractor who won a nearly $315 million Powerball jackpot in 2002, quickly fell victim to scandals, lawsuits and personal setbacks. His foundation spent $23 million building two churches, and he’s been involved in hundreds of legal actions. “If you win, just don’t give any money away, because the more money you give away, the more they want you to give. And once you start giving it away, everybody will label you an easy touch and be right there after you. And that includes everybody,” Jack Whittaker said five years ago.